The latest patchlevel release of the currently stable, production Ruby 2.1 series of MRI. Contains the usual array of bugfixes, along with a garbage collection tweak that reduces memory consumption. Use Ruby-based code to compose and perform in classical and contemporary styles ranging from canons to dubstep, all in a custom made IDE. Available for the Raspberry Pi and OS X. This is a well produced project. A look at how ActiveRecord works internally, how it finds what we ask it for, and how it returns results to us as Ruby objects. Complete with code and diagrams in Pat’s typically accessible style. 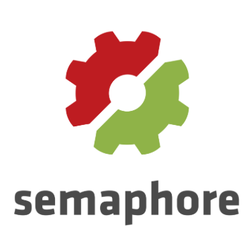 Join GitLab and other users and organizations that have cut their build time fivefold with Semaphore’s fast processors and RubyGems mirror. There is also a free plan for private projects that includes up to 100 private builds per month. Walks through installing Docker on a VPS, setting up a Dockerfile, building the app, bundling assets, and running the app on Docker. A beautiful slide deck with some useful tips and approaches. Your app shouldn’t be dealing with PID files, log redirection, or other low-level concerns, says Mike Perham. Instead, lean on your OS’ init system. A scrappy (in a good way) screencast fighting through the process necessary to get RubyMotion Android development up and running.